IT Business Value: Processor graphics systems—with their superior stability, power and cost efficiency, and support for emerging technologies and use cases—have become an important part of Intel IT’s transformation of the IT ecosystem for the applications and devices of the future. The architectural improvements available with 4th generation Intel Core processors, which yield significant performance improvements over previous generations of processor graphics technology, have accelerated our adoption of processor graphics systems. 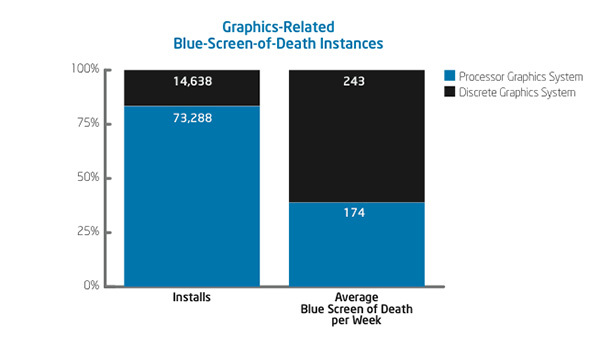 We’ve found processor graphics provide significant enterprise benefits in four areas.